Congratulations! We are long time homeschoolers, but I love encouragement and fresh ideas and reading about what works for other families. Looking forward to it! I have pre-ordered the e-book and am really looking forward to reading it. Do you talk at all about teaching science? That is my biggest homeschooling struggle. I never can figure out how to fit it (along with science experiments–ugh!) into the day. Yes, I do! It’s been a challenge of mine too! Wow Mary!! This is awesome, congratulations! I can’t wait. I have read and re-read your advice here and have benefited greatly. I look forward to new ideas and new encouragement. Thanks for taking the time to share your hard won wisdom. So glad you posted there is takeaways for non-homeschooling families as well. Looking forward to reading this book! I’m so looking forward to this book! I’ve found A Sane Woman’s Guide to a Raising a Large Family to be an incredibly helpful resource and just read through it again as we are expecting baby six in May. It doesn’t look like this book available for preorder in Australia, but when it is, I will definitely purchase it! Congratulations! Hi Mary! 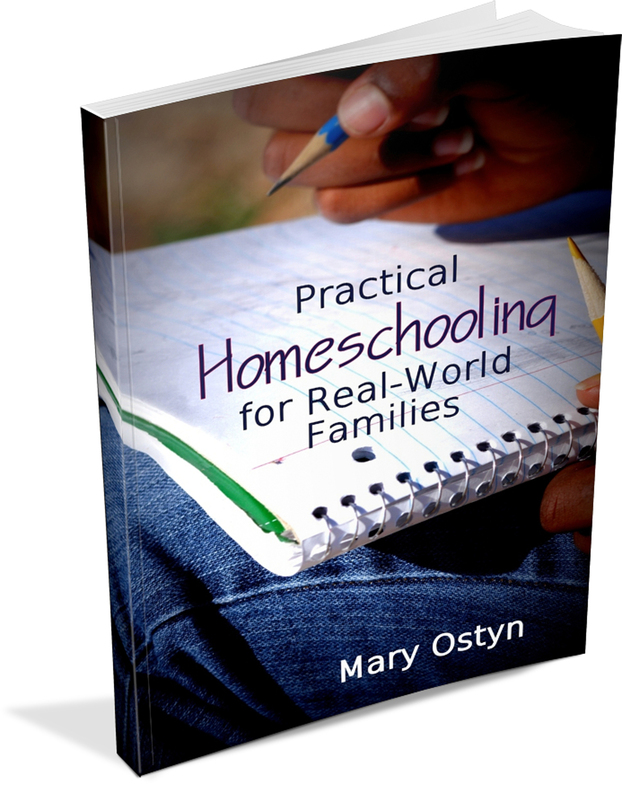 I’m excited to order your book as I will be beginning my homeschooling journey with my daughter who starts first grade in the fall. I was wondering if you plan on having a printed real book version as well? Hi! I am looking into a print on demand thing but haven’t figured it out yet! 🙂 I will try to remember to let you know if I get it set up. I just bought this book and I just really wanted to say thank you so much! We are in our second year homeschooling and your tips and advice are just so helpful I cannot express my gratitude enough. I live in North Carolina so I cannot give you a big hug unfortunately, so this thanks is the best I can do! This book is a huge blessing, buy it moms you will be glad you did!